Professional Eye Care in Arden-Arcade, CA | Thomas J. Fleischmann, O.D. Home » Our Doctors » Thomas J. Fleischmann, O.D. Dr. Fleischmann graduated from the Indiana University School of Optometry in 1977. 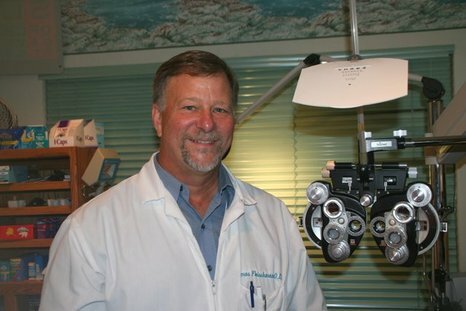 Dr. Tom established his practice in Sacramento in 1979 and has provided exceptional optometric care for over 30 years. He is active in the community and while his boys were growing up he sponsored and coached numerous little league & soccer teams. He has been an active member of Kiwanis since 1979. He has active memberships in the American Optometic Association, the California Optometric Association and The Sacramento Valley Optometric Society. Dr. Tom is licensed to practice the full scope of optometry including treatment of ocular conditions, providing therapeutic services and prescribing pharmaceuticals. He has expertise in fitting all types of contact lenses (gas permeable, bifocal, extended wear, etc). He also provides pre-op and post-op care for laser, lasik and cataract surgeries.